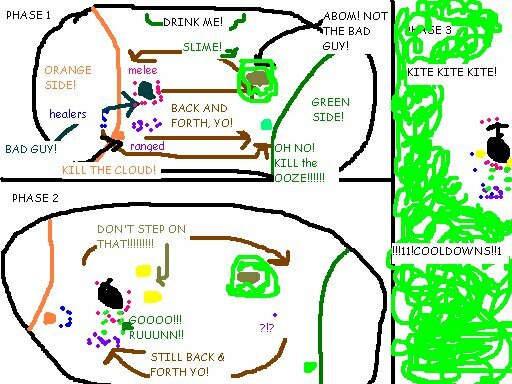 I’ve said it before and I’ll say it again, MS paint is one of the greatest things a raid leader can use. Not just for making fancy diagrams or editing pictures with positioning marks, but also for the hilarity factor. Often times raiding can be quite stressful and anything you can do to add levity and lighten the mood can go a long way to making everyone calmer, happier, and ultimately lead to that satisfying kill. Other times it’s just awesome fun. About two nights later we downed the boss. Everyone having a good chuckle and relaxing helped a ton. So I placed a call out on twitter for people to submit some of their own MS paint goodness and share some of the silliness with us, here is what I got. A wonderful representation of the Festergut fight! Next up is a submission from Krizhek one of my new guildies and a local boy around town here. I enjoy the consistency of this piece, simple and effective! She broke out the color on this one! 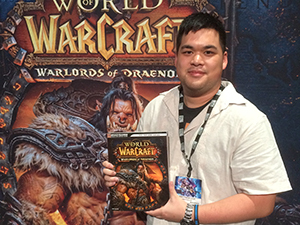 I also received a link from the guild <Devolve> on Altar of Storms – US. Lakini’s guildie thought that these were wroth noting and they were right! Swing over to Lakini’s blog to take a look at the Visual Guide to Plague Wing and the Visual Guide to the Crimson Halls. Personally I love stuff like this. It makes me smile and I can look at it as a reminder that we are indeed playing a game and we are doing so to have fun. Sometimes there are fights or just things in general in the game that agitate so much it carries over to real life. Being able to take a couple steps back and add levity to the situation is not only suggested, it is also good for your health in the long run. So how about you guys? Have any MS paint masterpieces to share with us? Any funny stories involving a humorous picture you created? I did something for Sarufang to teach my guildies how to spread out in the room & stand in pairs. I drew lines & circles on my screenshot. Paint FTW! Back in BC, when I was leading my casual Karazhan raid, I really wanted to down Netherspite. Being a Fury warrior prior to the Sunwell patch, the Spiteblade was a very desirable weapon for me. 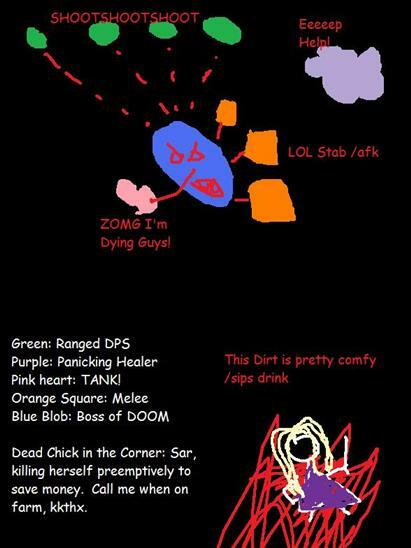 So when we downed Aran, I went and read up on the fight strat. Then I thought about how best to explain the fight to my raiders – Vent explanations can only do so much. It’s been a favourite ever since. I suppose I was a little fancier in my raid leading days with Adobe Photoshop, but I know exactly what you mean! .-= Bronte´s last blog ..“Alan Wake Already” or “The Next Duke Nukem?” =-. .-= Borsk´s last blog ..Hidden Hard Modes: An Introduction =-. 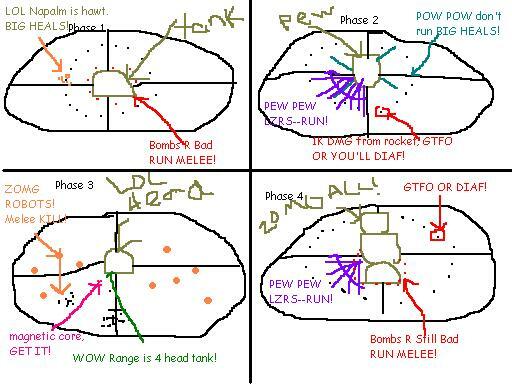 Here’s my old Loot Reaver camera position diagram for healers. 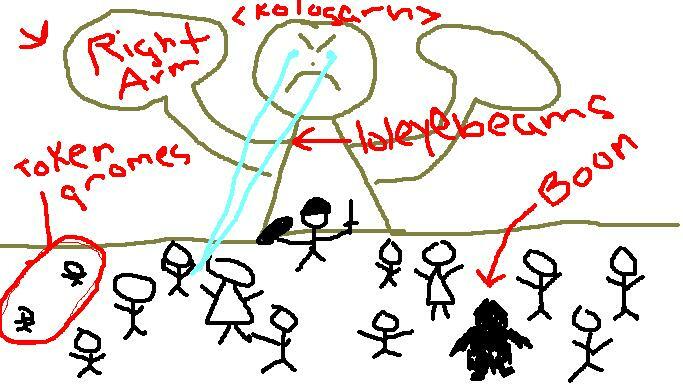 I got really confused trying to explain the Putricide fight on my blog recently, and I resorted to MS paint. .-= brangwen´s last blog ..Blood Prince Council =-. For whatever reason we would always have dead warlocks and mages in phase 1 of TOGC Phase 1 of beasts. 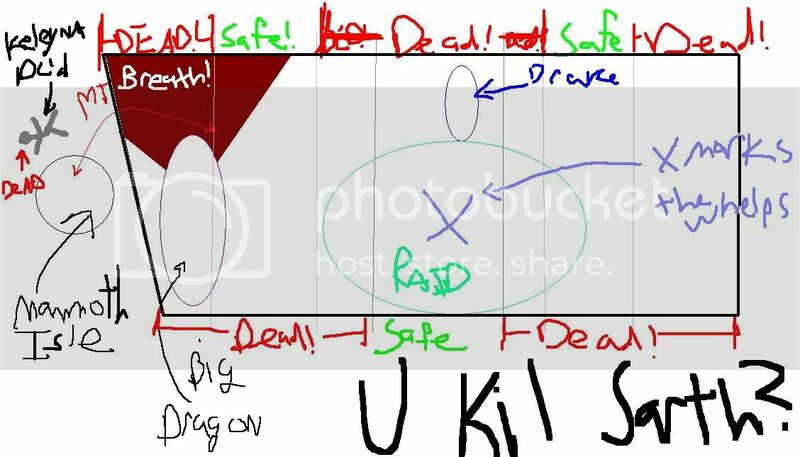 Since then every diagram that our of our members submits contains where the raid should stand and places where Warlocks and mages are dead from phase 1 beasts. It certainly makes its more fun and less ‘So serious’ when we have been working on a boss for a while with little success. Whoot! 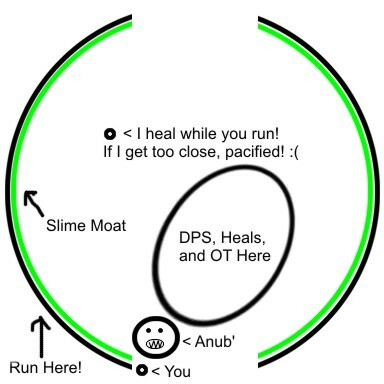 I am definitely going to poke our raid leader to do this. Sounds like a brilliant plan! .-= Ari´s last blog ..Pre-Raid Priest =-. Kae at Dreambound did a comic on doing Yogg, that I found amazing. Our guild ended up abandoning attempts on Yogg when ToC came out, but my personal performance got much better after reading that comic. .-= Fricassee´s last blog ..3.3.3 Can Eat One =-. Hehe, I’ve done a few comic strats with stick figures, in addition to the Yogg-Saron one Fricassee linked 🙂 My Blood Queen one seems to be pretty popular right now, I guess a lot of guilds are working on her. I’m working on one for Lich King, but (real) work’s been keeping me from finishing it just yet! 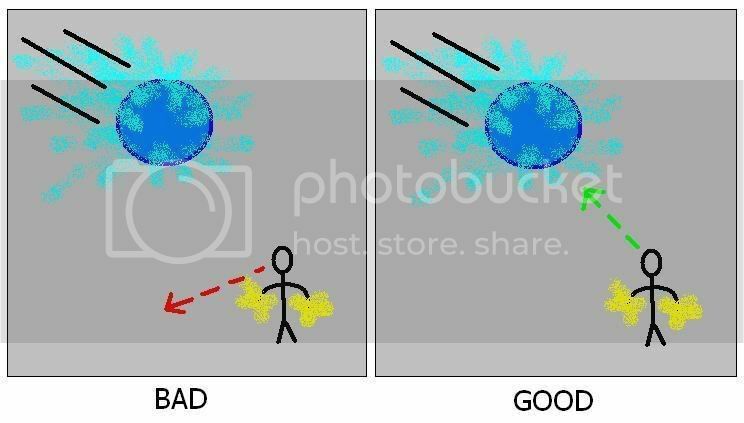 They aren’t true MS Paint works of art, though… just mouse-drawn stick figures in Photoshop. Apparently your comment system thinks me linking pictures is spam. So here’s one of mine. If you want to see more, hit up my blog and check out my “Tank Fight of the Week” stuff. .-= Randul the Dwarf´s last blog ..Extra Post: My Boy =-. @Kae: That Yogg drawing is EPIC. My guild is heading back into Ulduar to clear out some hard-modes and I will definitely be sharing it with ’em before we try (i.e. wipe on) Yogg again. While I can’t say I’ve ever gone to such great lengths as to create an MS Masterpiece (like Kae’s or any of the other one’s posted), I’ve certainly dabbled. 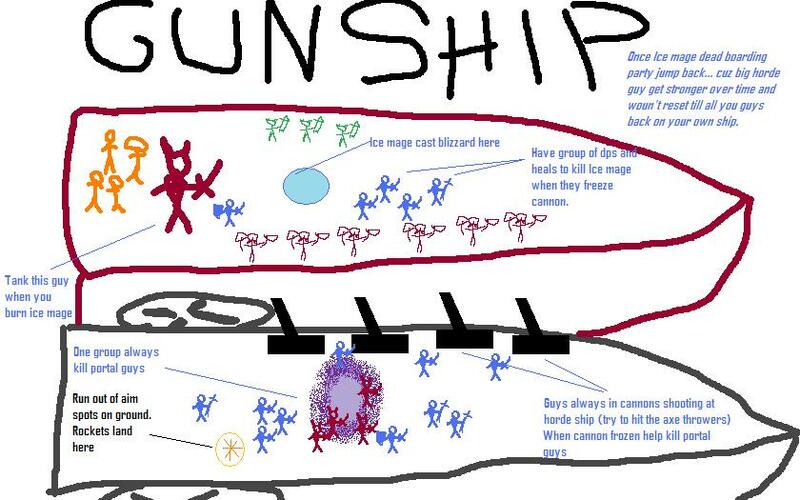 Here’s a look at my guild’s most recent raid report, spiced up with a bit of MS action! Once I started going to town with all the unnecessary and over-the-top circling, I realized it was a bit like the kind of thing John Madden used to do on any given Sunday for a football game. Enjoy! .-= Ambermist´s last blog ..Icecrown Citadel, The Crimson Halls: Blood Queen Lana’thel =-.